Recognizing Colorado's mushrooms â and which are safe to choose â is an art that takes training and practice. Mycologist Bill Windsor gives area residents a taste of that art at a Wednesday seminar. What: The Science Behind Mushrooms. When: Wednesday from 6:30-8:30 p.m.
Where: Walking Mountains Science Center in Avon. More info: Space is limited, please visit www.walkingmountains.org/sp and click on “Science Behind Series” or call 970-827-9725 to register. AVON — It’s easy to take in the grand vistas and exquisite scenery of the valley, but often people pass over the smaller features of the dynamic environment. Hiding just underfoot nearly everywhere we go is a complex and fascinating organism that has lived on this planet for millions of years. Long before trees shaded the slopes, mushrooms occupied and enhanced Earth’s changing landscapes. Not only do these ancient fungi form symbiotic relationships with countless plant species, many of them provide nutrition for humans and wildlife alike. Harvesting wild mushrooms is an activity that takes time and patience. Knowing which flowering fungi to choose and which to avoid is a skill earned through practice and training. 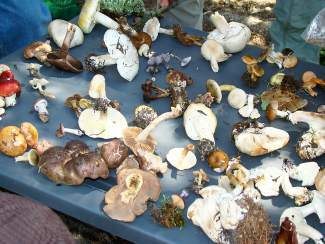 An introduction to the study of mushrooms, or mycology, is the perfect way to leap into harvest season. Join Walking Mountains Science Center with expert mycologist Bill Windsor for an evening of all things fungal. The class will learn the basics of identification and classification, delve into etymology and best harvesting practices, and explore the delicious and nutritious side of these forest floor dwellers. Windsor, former president of the Colorado Mycological Society, has years of study and practice that have earned him the reputation as an expert mycologist and resident mushroom culinary specialist. His dynamic presentation and practical application will leave participants with a new understanding and appreciation for magical mycelium, fantastic fungus and miraculous mushrooms.